It looks like the recent rumors about September the 12th for Apple’s iPhone 8 launch event could be correct. TechCrunch have received details from some new source which suggest that this is when Apple will announce their new iPhone 8. Yesterday we heard that the new iPhone 8 will be announced at the Steve Jobs Theater at Apple’s new campus, this of course depends on whether the Theater is finished for the event. Apple are expected to announce a number of new devices at their press event next month. This will include the new iPhone 8, iPhone 7S and 7S Plus and also a new 4K Apple TV. The iPhone 8 will come with a complete re-design over the existing handsets and it will feature an edge to edge OLED display. The handset will be powered by a new Apple A11 processor and will come with 3GB of RAM. Storage options for the handset are said to be 64GB, 256GB and 512GB. 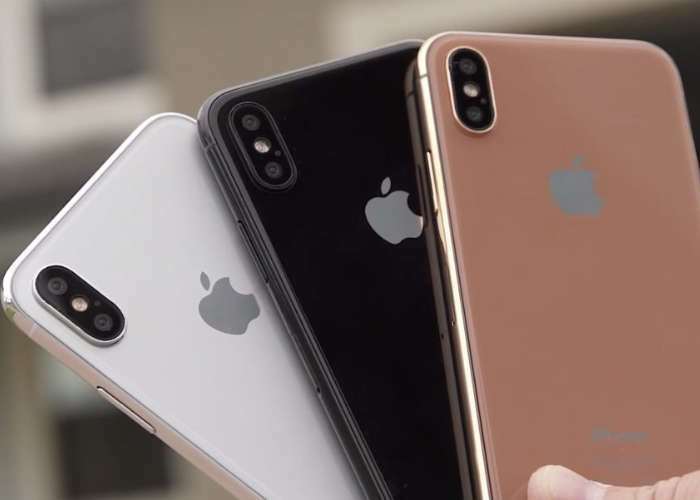 Apple new iPhone is also getting some new cameras, the handset will have dual rear cameras which will have a vertical setup. The device is also made from new materials which will include a glass back and a stainless steel chassis. Apple’s iPhone 8 will come with facial recognition for unlocking the handset and also for Apple Pay, the device is not expected to feature a fingerprint scanner. The handset will also come with the next major version of Apple’s mobile OS, iOS 11. It would appear at the moment that September the 12th is the date that Apple’s new iPhone will be made official, of course this could possibly change. As soon as we get some more information we will let you guys know.